Jerry Nelson’s Frontier Rodeo Company was established in 1991 and is based in Freedom, Oklahoma on approximately 9,000 acres, with 400 head of bucking horses, 70 rodeo bulls and 350 head of commercial cows. Frontier Rodeo Co. is owned by Jerry Nelson. Our Rodeo Manager is Heath Stewart and General Manager is 8X PRCA Bull Riding World Champion and Pro Rodeo Hall-of-Famer Don Gay. Nelson makes his home in Winnie, TX where he owns and operates Maverick International, Inc. He has owned a plethora of championship bucking bulls and horses over his long career in the rodeo/bull riding business. Stewart has been with Frontier since 2005 and lives in Freedom, where he manages the ranch and rodeo business. Gay resides in Terrell, Texas. He’s been with Frontier for 12 years and is in charge of public relations, commentating events and is also Jerry’s pilot. Frontier took its first animal to the National Finals Rodeo in 2005. They had one saddle bronc horse, Linda Lou, nominated that year. In 2017 they took 22 head of livestock to Las Vegas for the NFR. Frontier Rodeo Company has been awarded PRCA Stock Contractor of the Year and is proud to provide livestock to rodeos across the country. We are honored to work with our great rodeo committees in keeping the Western heritage alive. Kenney comes from very humble beginnings, born and raised in small town, USA, in southwest Missouri. With hard working, loving parents and two older brothers. Life was very basic, yet exciting and meaningful in this quiet little town of 900 folks. 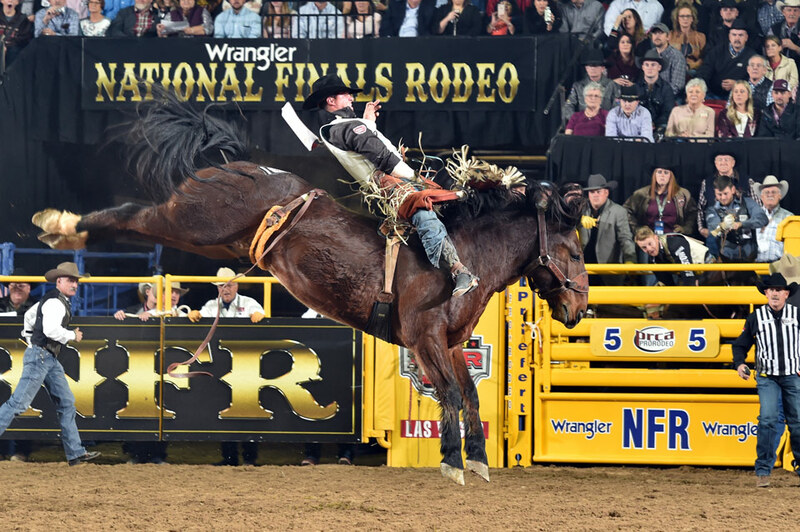 Kenney credits his parents for allowing his dreams of becoming a cowboy to come true. Kenney says, “Just now I realize how many sacrifices my family made to haul me to all of those high school rodeos. Living off of very little, but I never knew it, I felt I was the richest kid in the world.” It all started with a stubborn little sorrel pony. Learning to ride and being tough came at an early ages in his family. Needless to say Kenney’s life was very fast pace from the start, including rodeo, sports and music. He learned to rope, bulldog and play guitar in high school, then went onto college on a rodeo scholarship. Officiating high school and college baseball and basketball, rodeoing, picking and singing consumed his life with very little time to spare. Then accidentally, in 1996 at a rodeo in his home town, the announcer didn’t show. He then reluctantly agreed to help. That night in November of ’96 Kenney was bit by the entertainment bug. The next four years of Kenney’s life was jammed packed with excitement. Announcing rodeos and competing hard all summer, officiating college baseball in the springtime, calling basketball games all winter and filling every vacancy available with a singing gig. It didn’t take long for Kenney to realize his life was being consumed with work and travel, leaving little time for the things he loved at home. His family, hunting, fishing, ranching, etc. In 2000 he was asked to take the head rodeo coaching position at Missouri Valley College in Marshall, MO. Where he accepted the job in hopes of slowing down and embedding his roots. The next year Kenney was encouraged by his peers, students and family to pursue a career in the field that he had originally started years earlier, announcing rodeos. Kenney received pro status in 2001, resigned from the college in good standings after a very successful season, quit competing, hung up his officiating uniforms and never looked back. Since 2001 Kenney has had the opportunity to work many great rodeos and with some of pro rodeos most talented acts and entertainers. Kenney gives great credit to those many people along his journey who seen a talent in this small town country boy from Missouri. 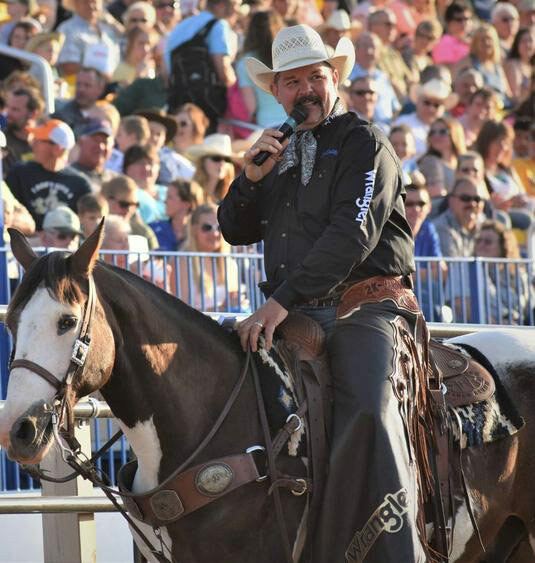 Kenney’s silky smooth baritone, quick wit, down home humor and his ability to connect with an audience has found a home forever in Pro Rodeo. Derek Barton is a Wyoming native and was raised on a ranch in Buffalo Wyoming. He grew up around cattle, horses and rodeo all of his life. Derek was a radio broadcaster for over 30 years and progressed into rodeo announcing in the late 80’s. Derek is a PRCA(Professional Rodeo Cowboy’s Association) Gold Card member and has announced rodeo all over the country. He is also a sound and music director for many major rodeos and does about approx.25 shows a year. Derek has taken his radio and rodeo background to the next level and is now owner and host of a world-wide radio and internet show, called Talk Rodeo. The show runs 5 days a week, year round and features interviews with the biggest names in rodeo. 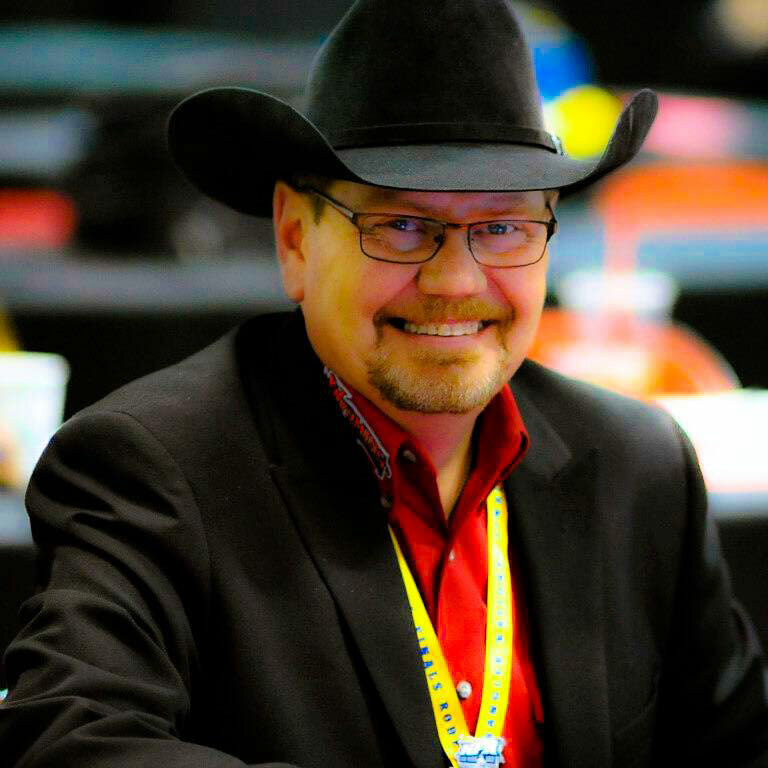 He has also been the internet broadcaster for the Wrangler National Finals Rodeo at the 50th Anniversary of the WNFR!! On top of all that, he works the media room every year at the WNFR, talking with all of the nightly winners and World Champions, he produces shows for all 10 rounds of the WNFR and is a frequent host and master of ceremony and music and production for major events during the Wrangler National Finals Rodeo. Derek is moved to Guymon Ok at the end of September 2017 and took over as General Manager for KGYN Radio. He has now moved to Goodwell Oklahoma and it the “Voice of the Aggies” for Oklahoma Panhandle State University Athletics. In his down time, he likes to sing and write music, he has 2 grown daughters, and he is a proud Grandpa to 3 Grandsons and 2 Grand Daughters. Lastly Derek Thanks God every day for allowing him to continue on this path in life and is Thankful for every day he has had. He knows life can throw a lot of surprises at you, as he was diagnosed with Stage 4 Colon Cancer back in 2007 and feels very lucky to still be here and knows God still has a plan for him.